My Taskmaster has got his full set of Uniques! I had to use up quite a bit of Item Boosts to find the last two, but it was all worth it. The uniques added a lot of ranks to a lot of the powers and gave Taskmaster an all-round boost to damage and survivability. Enchant-wise, I still can't decide what to choose for Slots 2,3 & 4. I'm considering going something different for each, instead of focusing on just 1 aspect. I have the Stone rune for Physical Damage on Slots 1 & 5, until I find more Tyr runes for crit. The rarer runes are getting incredibly hard to find. Now I'm completing all the story missions for Taskmaster for completion-sake as well as the quest rewards. Went up to Level 22 on the first try itself. It isn't my highest but higher than my average, which is pretty impressive. 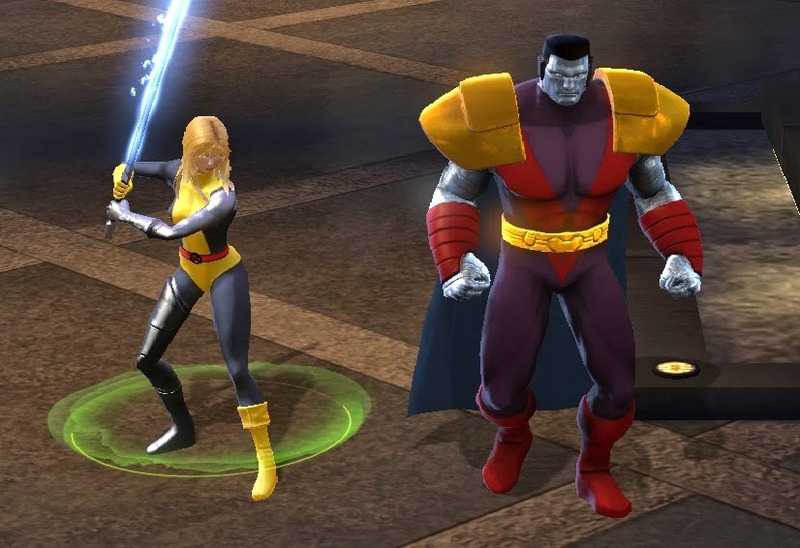 Will have to try several more times before I can judge if the Colossus-Magik combo is working wonders or I just had a good team on that run. Sibling success or first-try luck? Very excited to keep trying this pair-up in the different zones. Hopefully, I will be able to clear Cosmic Terminals more easily now. That's 2 out of 4 Team-up Heroes purchased. Gotta farm another 1200 Splinters for Falcon and Firestar..